In theory, social media coordinators are critical to fashion business success in the modern world. Getting your brand published in a trade newspaper or fashion magazine is only half the battle. In the age of the internet, social media is equally or more critical. 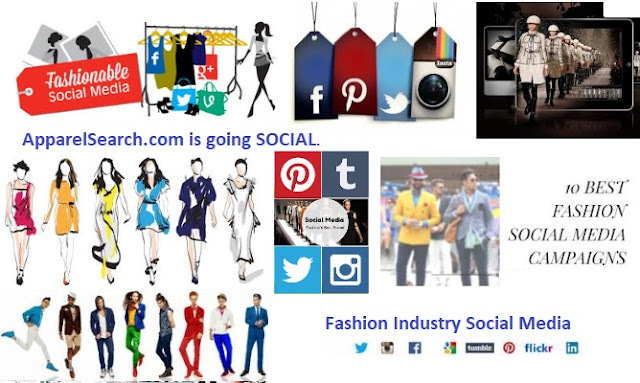 Social media in the fashion industry refers to how brands in the named sector connect with their target market through social media outlets such as Facebook, Pinterest, Instagram, and YouTube. There's no avoiding it: social media has become not simply a hobby. It's part of our everyday lives, including being a important part of some of our jobs. Here is an example of a relevant career move at the Theory fashion brand. Theory has hired Erin Reimel as Social Media Coordinator. Erin was formerly Beauty Assistant at Glamour and will continue to write freelance alongside her new role. When I first started in the industry their was no such thing as a social media coordinator (yes, I am too old). What’s the hottest trend in fashion right now? Maybe it's "social media". What are fashion companies doing to look amazing online? Step one, create a profile on the Fashion Industry Network. What are the best social media platforms for fashion companies?